MATAMEX (ARAMID) fiber (also known as Normex or Connax) is a meta-aromatic polyamide fiber that can withstand temperatures below 200 degrees Celsius under dry conditions. Hydrolysis occurs when water and chemicals are present. MATAMEX is a polycondensation polymer like polyester, which hydrrolyzes but withstands much higher temperatures. MATAMEX is a filter material used in high temperature applications where polyesters are brittle and fail. 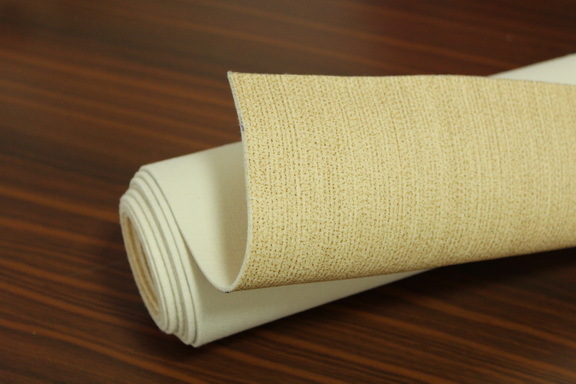 MATAMEX has excellent flexural and wear resistance, which is better than most synthetic fibers. MATAMEX fibers are non-thermoplastic and can not be polished, but can use special technology to burn or other post-processing.